In the business sector, Singapore is certainly known as an ideal place for setting up a business. Singapore’s start-up ecosystem is ideal because of its easy access to key growth markets, especially in Asia and its business friendly regulations. But another factor that makes Singapore a prime spot for setting up a business is its government’s generous financing schemes. The Singapore government not only encourages startups to set up shop in their locale, they also provide a way to make it possible for emergent entrepreneurs to do so. Not just through its friendly tax rates and helpful tax incentives either. The Singapore government provides incentives and launched several initiatives that give business startups easier access to funding. Knowing what incentives the government gives is very important in giving entrepreneurs a sense of what will likely be secure business enterprises for the next few years since the government is willing to support and help finance it. There is a due process for everything, of course, and you must prove yourself and your business eligible for a grant. But here are some incentives and schemes the Singaporean government provides. This list will hopefully help you to choose your next business venture and make your Singapore company formation easier based on the descriptions of these grants or schemes and the qualifications needed to access them. It will also give you a glimpse of what the Singapore government is currently focused on and the type of businesses it supports. There are several government agencies in Singapore that disburse business grants. Cash grants have a set of qualifying criteria for eligibility to receive funds and usually cover only a certain percentage of the needed finances. They are a great help however and the Singapore government gives them as incentives for innovation and development within different industries. Knowing the available grants can certainly help entrepreneurs choose what to focus innovations on. Action Community for Entrepreneurship or ACE Startups Scheme is a financial assistance scheme administered by Singapore government agency, SPRING. SPRING provides financial support to entrepreneurs who are keen on setting up differentiated businesses. Eligibility to these funds is based on a 4-key evaluation criteria that is comprised of: differentiation, business model feasibility, potential market opportunity and management team. If your business has been deemed eligible for this grant, here is how it will work. For every $3 raised by the entrepreneur, SPRING will match $7 for up to $50,000. Therefore, for one to receive a grant of $50,000, an entrepreneur must raise approximately $21,429 for co-matching upon the acceptance of the letter of offer. SPRING also matches the entrepreneur with a mentor. The mentor will support the startup’s sustainable growth up to its first year. However, SPRING does not take equity in the business. The grant will be given over 2-3 tranches when the business hits certain pre-determined milestones. The ComCare Enterprise Fund or CEF is a grant set up under the Ministry of Social and Family Development. It offers seed funding for social enterprise startups that hire and train disadvantaged locals. It funds up to 80% of the capital expenditure and the startups operating costs for its first two years, up to a maximum of $300,000. Eligibility for this grant is that the startups must be strictly from the social services sector. Business Incubation schemes offer not only funds but also access to cost-effective aggregated services, a physical space for startups to operate from and business mentorship during the enterprise’s early stages of development. Incubation schemes are a good resource for startup entrepreneurs who are eager to network and learn from existing ventures similar to their own or that operate within the same industry. The Media Development Authority (MDA) administers the i.Jam Micro Funding scheme via its inter-agency Interactive Digital Media Programme Office (IMPO). Incubators are appointed by the IDMPO to identify, develop and disburse funding to technically competent and qualified startups. Part of the incubator’s involvement would be advising startups about the exclusivity and exceptionality of their concepts and plans as part of the first step of this incubator scheme. Secondly, the incubator’s involvement in the startup also includes presenting the startups with viable networks within which they can work by aggregating other enterprises with similar goals and ideas. Thirdly the i.Jam incubators offer guidance on securing additional funding. The incubators in this scheme will invest 10% to 25% of the startup’s qualifying project costs. They will also take equity stakes in the startup enterprise proportionate to their investment. The grant is given on a reimbursement basis to the qualified startups. A good example of a scheme that focuses a specific industry and one that investors can look into is this incubator scheme administered by Singapore’s Economic Development board. The Fast-Track Environmental and Water Technologies Incubator Scheme or Fast-Tech is one for entrepreneurs looking to set up startups in the environmental and water technology sector. This scheme proffers qualified startups with up to $300,000 or as much as 85% support level of funding assistance over two years, depending on which is lower. Equity financing is a form of financing that is ideal for startups in need of additional capital. These types of schemes give grants lent by investors to a business in exchange for a share or equity stake in the ownership of the company. To administer these schemes, the Singapore government co-invests in startups alongside a private third party investor. Entrepreneurs who want to avail of these schemes should study the disbursement of company shares allocated by their chosen equity scheme. Singapore’s government agency called SPRING administers some equity investment schemes. One such scheme is the SPRING Startup Enterprise Development Scheme or SPRING SEEDS. 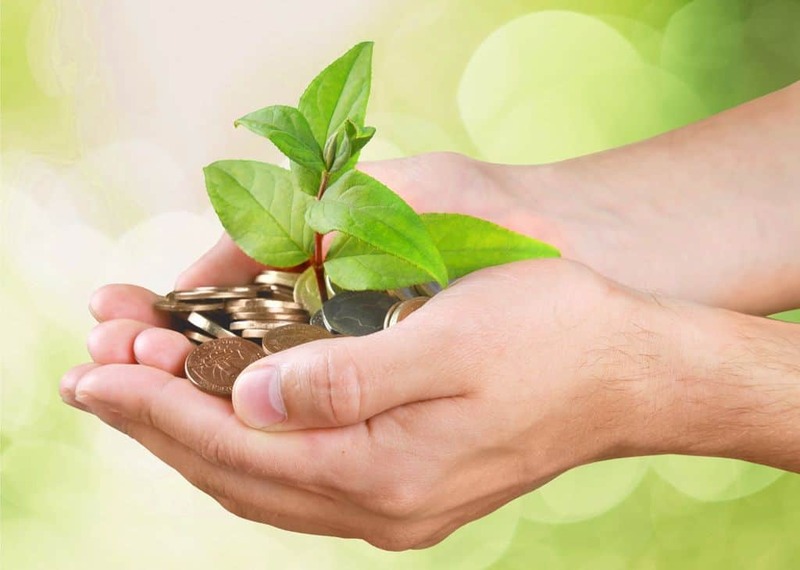 In this equity financing scheme, SPRING SEEDS Capital (a subsidiary of SPRING) will co-invest with eligible commercially sustainable Singapore-based startups and third-party investor/s, matching dollar for dollar with a limit of $1 million, with the first round of investment normally limited to $300,00. Both SPRING SEEDS Capital and the involved third party investor/s take equity stakes in the company that are proportionate to their respective investments. SPRING SEEDS Capital administers another equity financing scheme called the Business Angels Scheme (BAS). In this equity investment scheme, SPRING SEEDS Capital invests in innovative and growth-oriented Singapore-based enterprises alongside screened business angel groups, matching dollar for dollar up to the maximum amount of $1.5 million. The business angel group, as well as SPRING SEEDS capital, will also take equity stakes in proportion to each’s investment. The National Research Foundation administers a co-funding equity financing scheme called Early-Stage Venture Funding Scheme (EVFS) particular to technology startups. The NRF will grant selected venture capital firms that can raise a minimum of $10 million via third party investors, dollar for dollar matching, up to a maximum of $10 million with the purpose of investing in early-stage technology start-ups. Chosen eligible startups can also approach the venture capital firms directly for funding grants of up to a maximum of $3 million. The Singapore government is well known for giving tax incentives to needy and qualifying startups. Before entering into a startup enterprise it is good to know how these tax incentives and exemptions can help one’s business and what would qualify one’s startup to receive an incentive or exemption. The PIC scheme is a tax incentive scheme that was put up to encourage startups to undertake not only productive but also innovative endeavors. Up to 400% deductions may be granted or allowances on up to $400,000 of incurred expenses in each of the approved “innovation activities”. The accepted “innovation activities” are: Research & Development, Intellectual Property acquisition and/or registration, Software or technology automation, and Design activities. The PIC Scheme, however, has an expiration as it had already been extended in the 2016 Budget for another three years until YA 2018 and will no longer be available from 2019 onwards. The cash payout has also been lowered from the previous 60% to 40% of the qualifying expenses that are incurred starting from August 1, 2016. There are several other tax exemptions for qualifying startups and SMEs that offer partial to even full exemptions. There are also industry-specific tax exemptions that every entrepreneur should look into in case they qualify for such incentives. Debt financing schemes provide entrepreneurs who want to raise their capital without giving shares or profits to third-party investors, with viable funding options. However, for this option loan repayments have to be made on time and loaners remain indebted lenders regardless of whether they generate profits or not. The Singapore government has designed several debt-financing schemes for SMEs in Singapore. So long as they meet the qualifying criteria, SMEs can avail of these debt financing schemes. The Loan Insurance Scheme or LIS aids both domestic and overseas trade facilities and is meant to insure loans against default risks. In this debt financing scheme the Singapore government co-shares the insurance premium with the startup enterprise. The LIS has no maximum loan quantum. The insurer determines the premium rate and interest rate as well as the loan tenure based on the loaner’s risk profile. Financial Institutions also involved in the debt financing scheme will determine the collateral requirements and repayment structures. The Singapore government gives a premium support of 50%. The Micro-Loan Programme allows participating financial institutions and banks to lend qualifying Singapore-based companies loans of up to $100,000 to cover daily operations or automation and upgrading factories and equipment. However, SMEs must pay a minimum of 5.75% interest for a less than 4 years loan tenure. Another Debt Financing schemes that startups can look into is the Local Enterprise Finance Scheme (LEFS). The list of financial and commercial aid that the Singapore government provides goes on. These are just a few tools that can help launch a startup or existing enterprises to build on their innovations. It is safe to say that the Singapore government allows for such incentives to be given because it wants to foster its ever-growing startup ecosystem and encourage innovation. This should encourage entrepreneurs looking for their next venture to consider the multiple benefits Singapore’s startup ecosystem offers them. 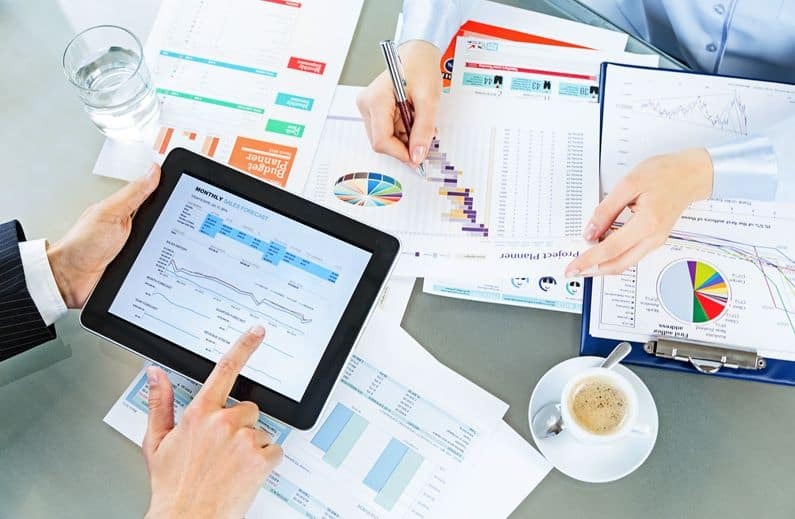 We provide a competent and reliable corporate solutions including Singapore company registration, corporate secretarial support, tax and accounting services. Let us assist you in your entrepreneurial journey.